A slightly-late and super brief update today, because I've been down most of the evening with a very nasty stomach bug (presumably food poisoning) and am quite under the weather. 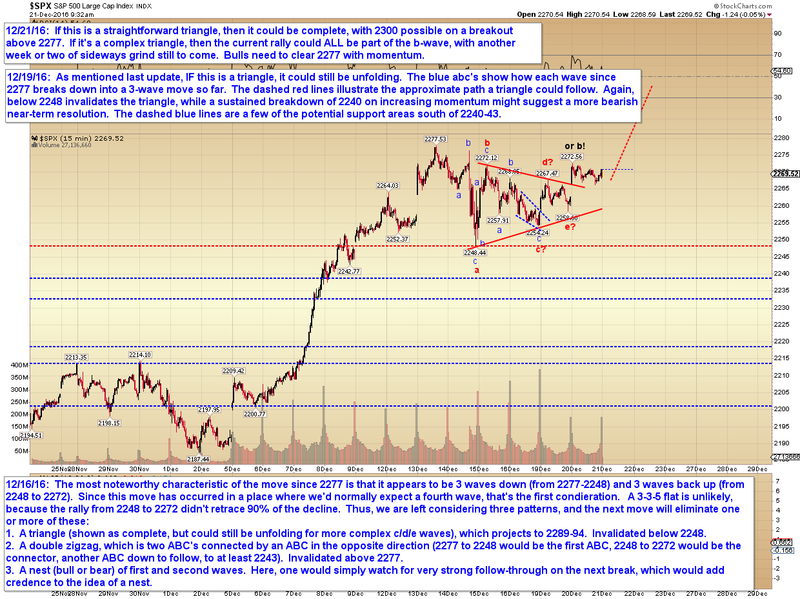 Below is the update to the triangle count. 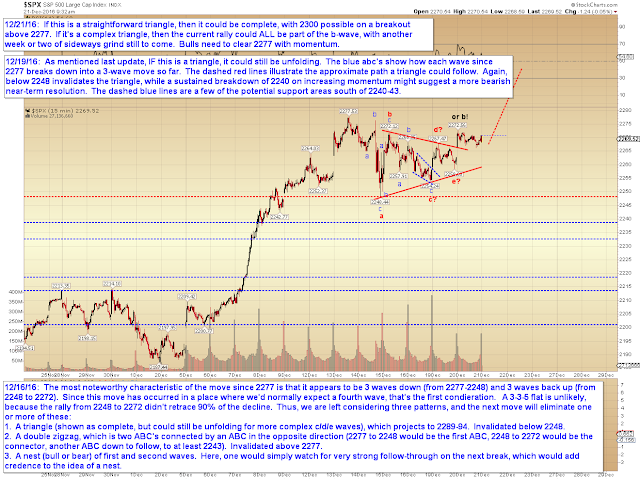 Note that until SPX clears 2277, the triangle could still be unfolding, and it's not impossible for the rally from 2248 to all be part of a complex b-wave (so it could be red b, with red c/d/e still to come (!)). For everyone's sake, let's hope that's not the case -- but it is technically possible. Sorry for the short update today. I'm going to go throw up again now. :) Trade safe.